The iPhone 5 will live up to the hype – in time. Apple sold 5 million of the new handset, or about $3 billion worth, during its three-day debut. That fell short of Wall Street’s whisper number, which was up to twice as high. Yet the latest sales outpaced those of its predecessor and the company couldn’t meet demand. Supply-chain glitches and map-app hysteria won’t derail Apple’s smartphone train. Apple sold 4 million of its last phone, the 4S, on its opening weekend in October last year, and 1.7 million of the previous iteration 16 months earlier. Though investors fixate on these openings, they aren’t as indicative as the Hollywood box-office premiere tallies they’ve come to resemble. Apple shares tumbled 2 percent on Monday, knocking about $13 billion off the company’s market value. Despite missing the early expectations, the iPhone 5 is destined to be a blockbuster. Most stores quickly sold out. The wait for online orders is up to four weeks. The phone is still only available in nine countries, though 30 more will be selling it soon. There’s also plenty of market share to be snatched from struggling Nokia and Research In Motion. The real problem for now is that Apple just can’t make enough. Manufacturers of hit gadgets routinely encounter the problem. Sourcing screens, processors and memory is difficult even for a company with Apple’s fastidiousness and clout. The more cutting edge the components and the greater the demand, the more likely the supply chain will hiccup. Apple, however, overcame similar short-term problems in 2010 with both iPhones and iPads. It only goes to show just how fanatical Apple’s customers are. 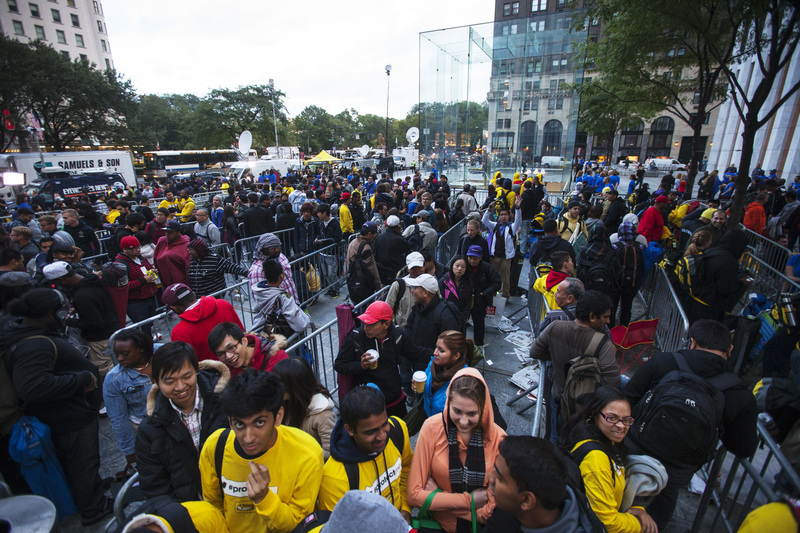 Some were camping outside stores a week in advance for the iPhone 5. Many fans shrugged off the frenzied backlash against Apple’s replacement for Google Maps and critics saying the phone offered only incremental improvements. The iPhone makes up about half the company’s total sales – expected to be about $156 billion for the fiscal year ending in September – and a greater proportion of its profit, so there’s a lot riding on sorting out production. But with Tim Cook – regarded as one of the best in corporate America at handling logistics and an executive with a history of fixing similar problems – there’s really not much cause for concern. It won’t be long before the iPhone 5 is delivering many happy returns. Apple said on Sept. 24 it had sold over 5 million iPhone 5 smartphones in the three days after its initial availability on Sept. 21. Chief Executive Tim Cook said the company sold out of its initial supply. The phone is available in the United States, Australia, Canada, France, Germany, Hong Kong, Japan, Singapore and the UK. It will be available in 22 more countries on Sept. 28 and more than 100 countries by the end of the year, according to Apple.